From Steel Magnolias to Frances Ha, these are our favourite films about female solidarity. If there’s one thing that life can guarantee, it’s unpredictability. When life doesn’t appear to be going according to plan and nothing seems to be going as it should, one of the few things you can be certain of is that your fellow women are going to be there with you no matter what. 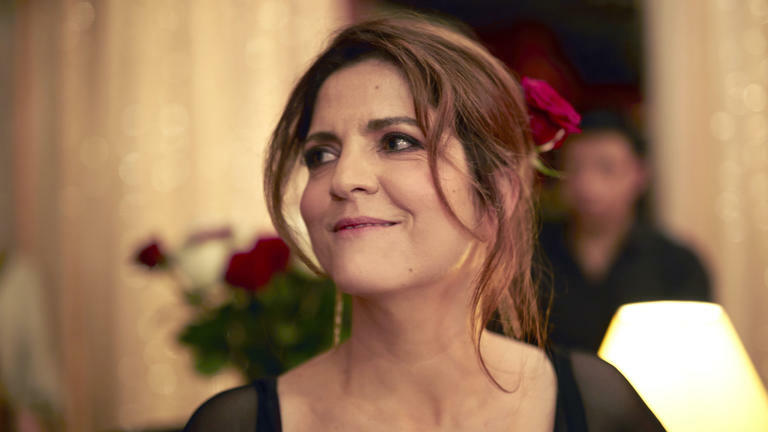 This rings true for Aurore (Agnès Jaoui), in I Got Life! – a timely and uplifting film celebrating womanhood which arrives in UK cinemas on March 23rd. Fifty, flirty and not so thriving, Aurore’s world is turned upside down when a past flame returns. From divorce, career changes, and unexpectedly becoming a grandmother, Aurore faces it all with the strong and supportive women in her life by her side, every step of the way. Female solidarity is something we believe should be wholeheartedly celebrated and here’s a list of films that embrace just that. This 1992 sports comedy-drama about a women’s baseball team often crops up in conversations about great female driven storylines, and it’s not hard to see why. A League Of Their Ownfollows the two Hinson sisters, Dottie (Geena Davis) a beautiful and talented catcher and her younger sister, Kit (Lori Petty), a fiery pitcher who’s tired of living in her sister’s shadow. When presented with the opportunity to get her and her sister out of their humdrum town to play baseball professionally, Dottie puts her personal wishes aside to facilitate her sister’s dream of baseball and escape. A League Of Their Own is an uplifting and heartwarming tale that explores the trials and tribulations of female companionship and what it means to be a teammate and a sister. What’s more, not only is the film an amazing portrayal of female camaraderie and friendship, the project was helmed by female director, Penny Marshall, and is inspired by the real life All-American Girls Professional Baseball League. It’s an all-round yes from us. A League Of Their Own knocks it out the park. This 1989 drama hit starring Dolly Parton, Julia Roberts and Sally Field has been breaking hearts everywhere for the best part of the last 30 years. Steel Magnolias follows a closely-knit group of women living in a small Southern community in Louisiana who work and socialise together at a local beauty salon. When one of their own, Shelby (Julia Roberts) is plagued by a series of health problems and proceeding complications, the group are faced with the shattering reality that the course of their lives may well have been changed forever, and they’ll need the love and support of one another to make it through. 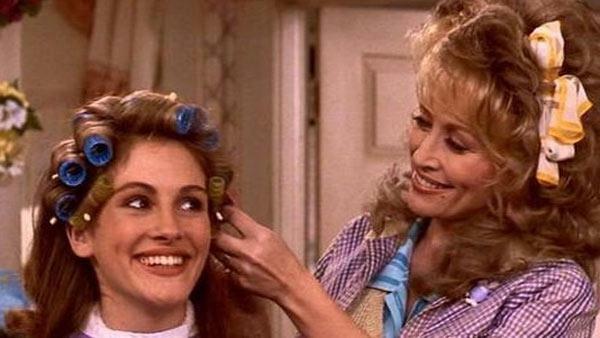 Devastating plot aside, what makes Steel Magnolias such a beautifully poignant depiction of female friendship is the way in which it illustrates how women are able to derive strength from one another and help support each other during the most difficult of times. Steel Magnolias begs the question of how any woman could go through anything similar without a network of fantastic companions around them. Some people will go to extreme lengths to stay young and beautiful, but not everyone has access to a magic potion that’ll do just that. Luckily for Madeline Ashton (Meryl Streep) and Helen Sharp (Goldie Hawn) though, they have just the trick. After both taking the mysterious liquid concoction designed to give the drinker eternal life and beauty, the former enemies are forced to look out for one another after realising that they are each other’s only hope of companionship if they are to live forever. Although the film is a more quirky and unusual representation of female solidarity than we’re used to seeing on screen, it’s hard not to root for Madeline and Helen and their devious scheming together. Death Becomes Her is an unconventional portrayal of female friendships and is all the better for it! Taraji P Henson stars as an aspiring NASA engineer in this critically acclaimed 2016 history drama. Hidden Figuresfollows three African-American women working together to gain the respect and recognition they deserve in their overwhelmingly male-dominated workplace. 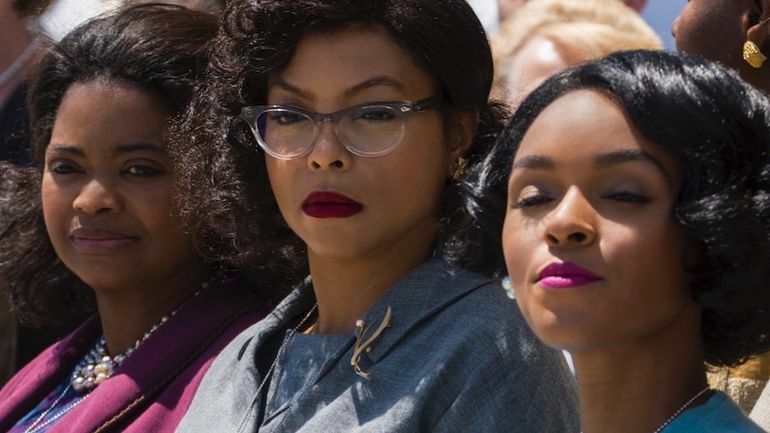 The film tells the incredible untold story of three remarkable women, Katherine Jonson (Taraji P.Henson), Dorothy Vaughan (Octavia Spencer) and Mary Jackson (Janelle Monae), all of whom worked at NASA serving as the remarkable brains behind John Glenn’s extraordinary launch into orbit. Whilst it’s baffling that this story hasn’t been told sooner, this film was certainly worth the wait and highlights the women’s astounding intelligence and determination and how their actions and achievements created change for women in the future. Feel good factor and female empowerment galore—we simply can’t get enough of Hidden Figures. After falling out of touch for many years, college friends Annie (Diane Keaton), Brenda (Bette Midler) and Elise (Goldie Hawn) reconnect over the loss of their beloved friend Cynthia. When all of their marriages simultaneously start to crumble and botox begins to fail them, the women band together to create The First Wives Club. United by anger at their respective former husbands and bound by mutual circumstance, the women club together to wreak revenge on their former loves before coming to an altogether more life affirming realisation that something much better than revenge was to be found. A masterclass in highlighting how friends are often all you need, First Wives Club is a compelling and fun film that shows how even after many years apart, the best friendships can withstand the test of time and stay with us for a lifetime. If being a woman in your twenties doesn’t feel difficult enough already, the breakdown of female friendships during these supposedly pinnacle years can feel particularly painful. It’s no secret that losing your best friend can feel more heartbreaking and devastating than breaking up with your significant other and this 2013 indie gem is about just that. Frances Ha stars Academy Award nominee Greta Gerwig as Frances, a hedonistic Californian 20-something who, along with best friend and roommate Sophie (Michey Sumner), is attempting to make a life for herself with varying levels of success in the equally inspirational and lonely, New York CIty. When Sophie gets into a serious relationship and moves out of their shared flat, Frances is left wondering what happens next, fearful of being left behind as her best friend appears to be progressing to the land of “adulthood”. Frances Ha encapsulates the often volatile but always immensely powerful nature of female friendships and how, without them, we can feel totally lost and even incomplete. Adapted from Kathryn Stockett’s 2009 novel of the same name, The Help is a moving and heart-wrenching film that highlights some of the dire injustices and racism faced by African-American women in the 1960s. Viola Davis heads up a stellar ensemble cast as Aibileen Clark, the maid of intolerant socialite, Elizabeth Leefolt (Ahna O’Reilly) and her family. When aspiring writer Eugenie “Skeeter” Phelan (Emma Stone) starts to show an interest in telling the personal stories of the maids in her hometown of Jackson, spurred on by the support of each other, the maids courageously agree to share their experiences and contribute to Skeeter’s piece in an attempt to stimulate debate and encourage change. Although the treatment of Aibileen and her best friend Minny (Octavia Spencer) from their employers showcases how truly vindictive and awful women can be to their fellow females, The Help also explores the unparalleled sense of companionship a group of women coming together can provide and how dependent we are on each other, both for emotional support and for encouragement during life’s most challenging times. What would a roundup of films about female solidarity be without a reference to Thelma and Louise? Arguably one of the most iconic friendship duo’s to ever grace our screens, Thelma and Louise has well and truly earned its status as a Hollywood classic and has firmly stood the test of time, over 25 years on from its original release. The crime drama follows the story of two friends en-route to a weekend getaway at a fishing cabin in the mountains. After stumbling into some severe trouble, Thelma (Geena Davis) and Louise (Susan Sarandon) find themselves wanted for serious crimes and on the run from the police. Although the pair are prone to unapologetically violent outbursts in the film, their actions come as a result of the continued oppression that numerous women, themselves included, experience in society and the film has been dubbed by many as a “feminist masterpiece”. Finally, like any good pair of best friends should, they stick by each other’s side through it all and to the very epic end.